So I’ve always said that the Internet will lead the way when it comes to media and the news and TV will be left behind. What I actually mean is that TV will now have to be repurpose to stay relevant. And I still strongly believe this no matter how strong others don’t (some old TV folks still hold on to how TV is still the main media… pity them). A blog post on the Wall Street Journal recently wrote that ‘If you think TV is dead, maybe you’re measuring wrong‘. It goes on to explain that the right way to see if people are still watching TV is to measure it is not look at the number of viewers in the average minute of any particular programme because this is not how online videos are measured. As long as someone clicks on a video online, it is already counted. 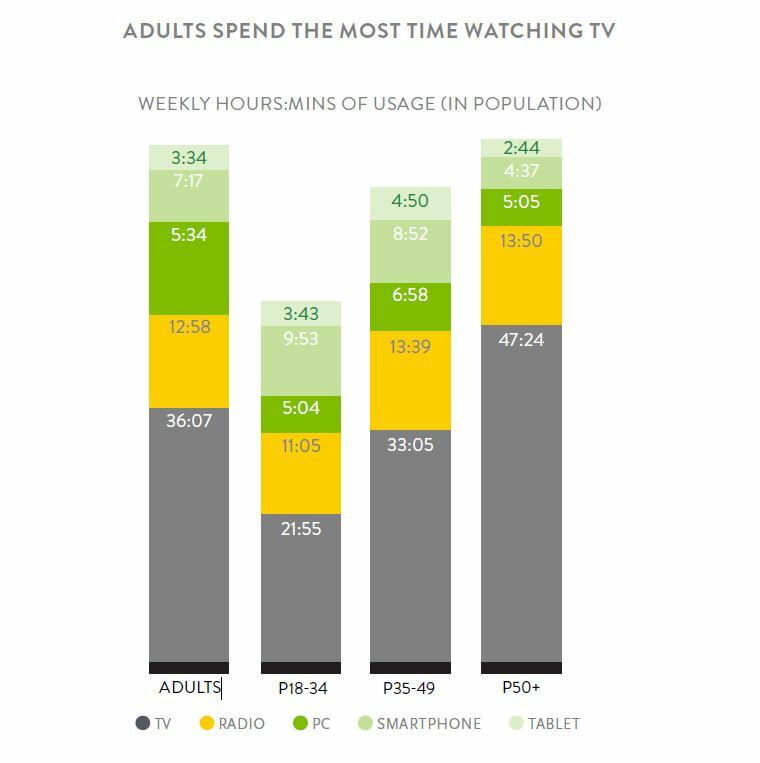 What the suggestion is to measure the average time any individual spends on the different platforms – TV, smartphones, etc. And that would give a more representative perspective of who is viewing what. And, if you look at the graph above, TV is doing alright. I don’t know if I agree. But the WSJ post goes on to explain that it is still extremely difficult to measure these metrics cross-platform. It is like comparing jambu batu and pisang emas! And honestly, I still don’t see any TV station anywhere who has been innovating their content to keep up with the times.